I am officially in love with making baby clothes. They’re so quick, easy & use very little fabric. Great for busting through my fat quarter stash. Although I have to confess the fabric for this tunic is new. 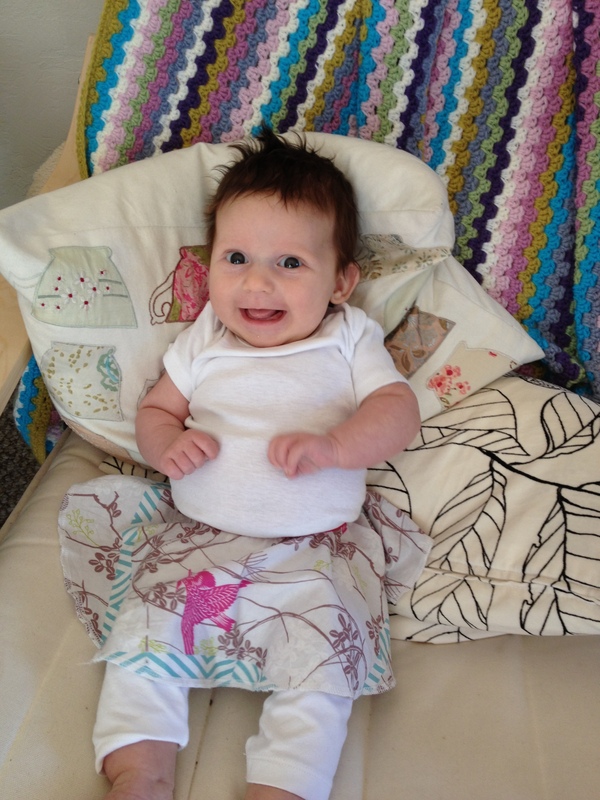 It’s beautiful Anna Maria Horner voile and is perfectly light, soft & cool – just what a little Californian baby needs. Tutorial & pattern over on Delia creates (one of my favourite blogs). I see more of these tops in my future. 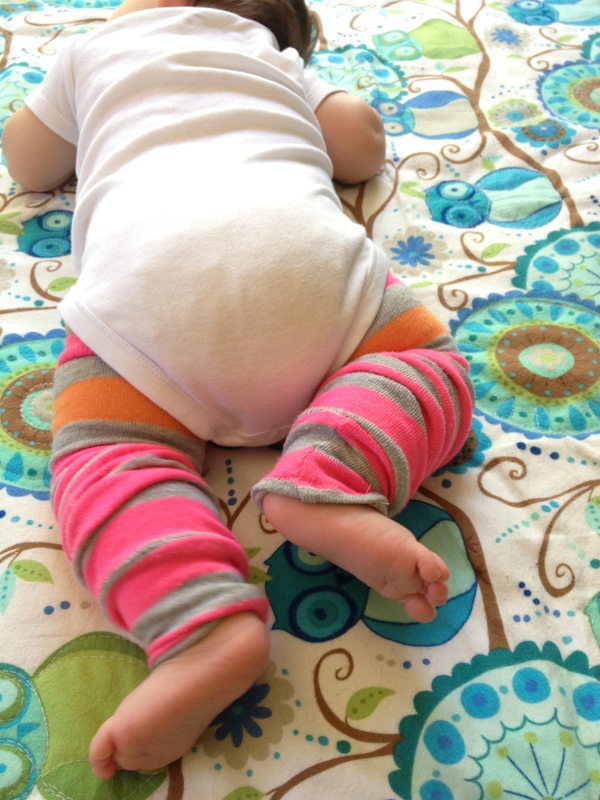 It may be hot here in Northern California but leg warmers are still really useful. Diaper changes are much easier with no leggings to pull off and they keep little legs warm in chilly air conditioned shops and restaurants. Oh and they look cute. There are so many tutorials for how to make these. I used this one as a guide. But they’re basically women’s socks with the foot cut off then finished with either a hem or a cuff. Really simple. And did I mention cute? 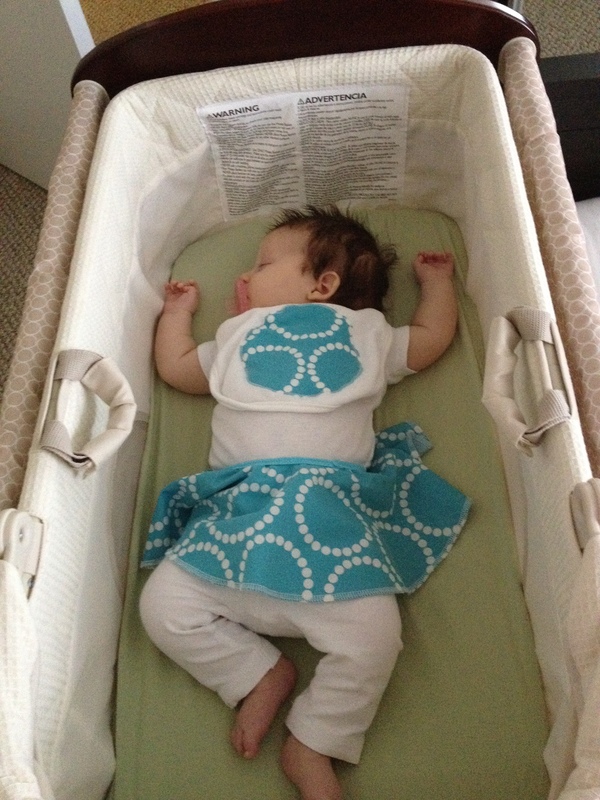 I made these incredibly easy circle skirts during Emily’s naps. I cut the fabric out and serged the hems in one nap (Note: I left the serged edges showing rather than fold them over and top-stitch as I’m lazy. And I have a baby). Pinned on the fold-over elastic in another one. And stitched the elastic on during another. The pattern is over on Dana Made It. Oh and with the leftover circles I made matching bibs! I just used a zig-zag stitch to attach them to plain ready-made bibs. 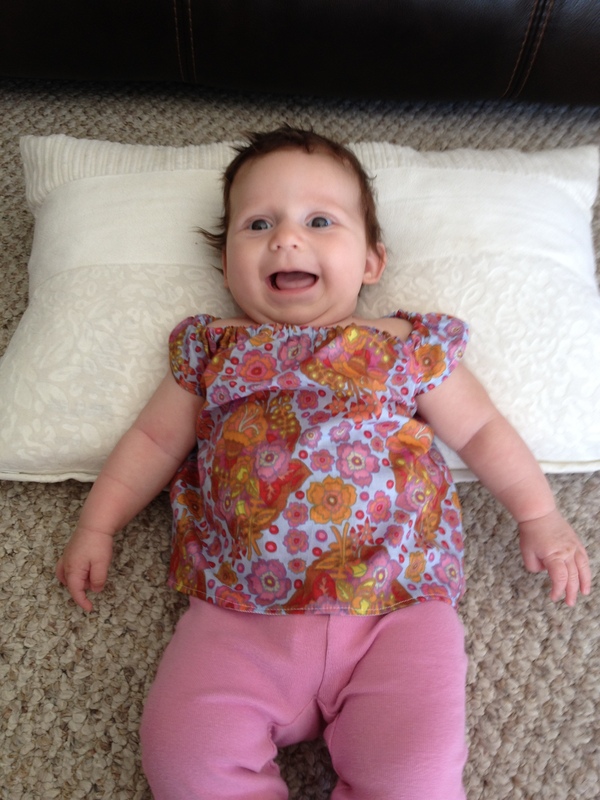 She’s started to really drool so bibs are becoming a necessity. I think someone is getting a bit big for their bassinet! 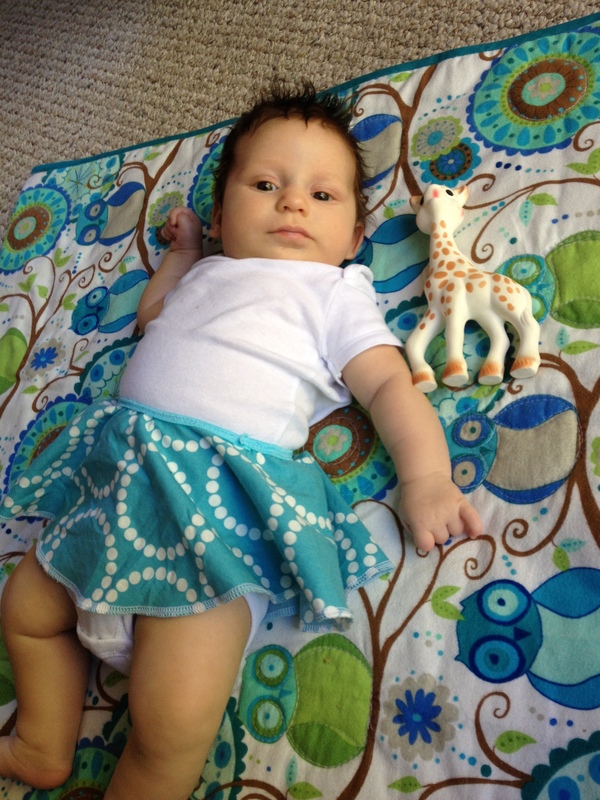 Making baby clothes is so much fun. 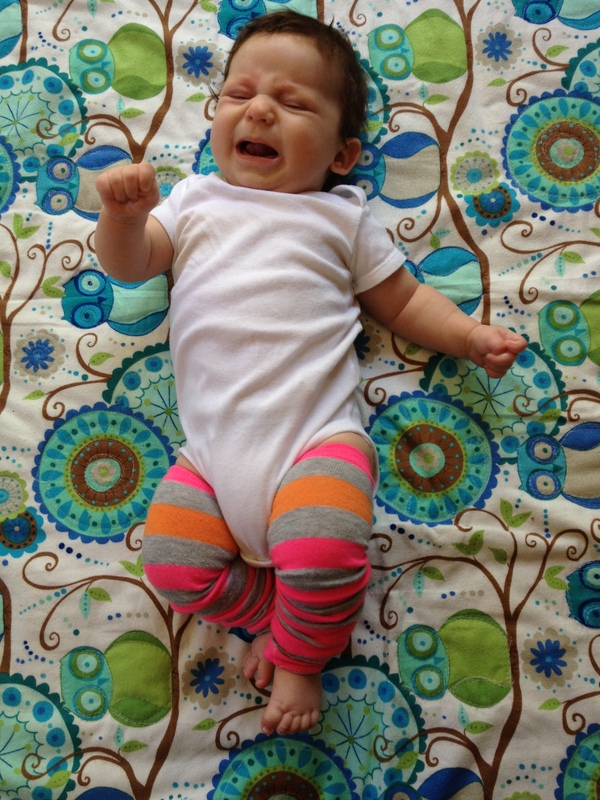 I have several projects planned – and some fabric on order – so I’ll be back soon with more adorable baby photos.